Last night I was poking around my open bottles and found a single pour left in an old bottle of Oban 14. It’s been open for almost a year, and chances are it’s already well on its way to oxidizing. Not looking for an analytical experience, I splashed it into a glass and continued with my evening. My motivation was more about freeing up a space in my cabinet by polishing off an old bottle than about actually tasting the Oban. Until, that is, I took a sip. There’s nothing particularly special about Oban. It’s a well-made, well-aged Highland malt owned by industry giant Diageo, who claim they make single malt to go into Johnnie Walker, not to sell single malts. Jerks. 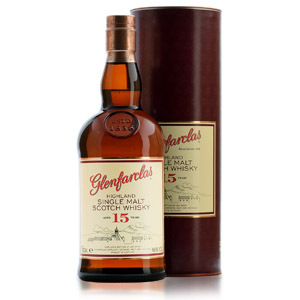 It’s not rare like Brora or Port Ellen, it’s not particularly old like Glenfarclas 40, it’s not revolutionary and experimental like Glenmorangie Artein, and it’s not a cult-backed geek-forward upstart like Kilchoman. It’s just Oban, and I had honestly forgotten how damn GOOD it tastes until I drained that old bottle last night. It reminded me why I like drinking whisky. It’s not to analyze the relative wood content, to detect which bourbon distiller made the juice, nor to judge whether something is $20 over- or under-priced. I like drinking whisky because of the indefinable, uncategorizable combination of smells, tastes, and feelings that it provides. I can’t say I liked this glass of Oban because it had or didn’t have honey notes, because I could or couldn’t detect heather, or because it did or didn’t finish bitter. I just liked it because my eyebrows went up when I tasted it, and my eyes rolled back when I let the finish warm my throat. I liked it because it tasted good, and reminded me of a time when every new glass was an exciting opportunity of discovery, instead of another chance to turn up my nose and dismiss something as “not quite good enough.” I think I need more reminders like that. 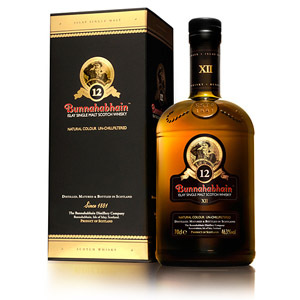 Next time you’re feeling jaded about all the new releases, unobtainable single-cask bottlings for $200+, black label this and devil’s cut that… get a glass of something that once opened your eyes to the joys of whisky, and let it open your eyes to the joys of old favorites instead. I sipped a few glases Jack Daniëls last week. The first since years. Must have been like at least 6 years ago that I drank my last glass of Jack… And to be honest, it was just like you say here in the above: it just tasted good! Reminded me of my first baby steps in the world of whisky (whiskey). It tasted as good as a fine malt? No, but it was good nonetheless. Maybe it just was the occasion and the memories it brought to the surface, but I liked it. 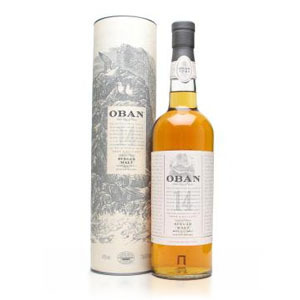 Oban 14 is an old favorite of mine too. 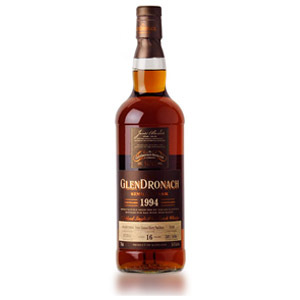 It is a comforting dram, like a good friend who does not make too many demands of you. Great post. Developing an interest in something too often seems to lead to a diminution in my capacity to enjoy it, and it’s not easy to get back to the source. As a bonus I find your post comforting too, since I have to admit that since reading your post on oxidisation, I’ve become overly concerned about whether I’m keeping my open bottles too long! Now I’m sure they’ll be fine. Mind you, I had a particular bottle of brandy for 3 years and never noticed a difference in the flavour, so I didn’t ought to worry so much.